Embarking on a hero’s journey, at least in the classic narrative, is a complicated process. First, there’s a reluctance to change. Then a mentor or guide often appears to offer the hero some wisdom or magic talisman that bolsters their chances. Spiritually renewed, the hero sets off on an adventure of personal discovery. Eventually, the hero conquers their doubts and inner demons to emerge a wiser, better, and stronger person. 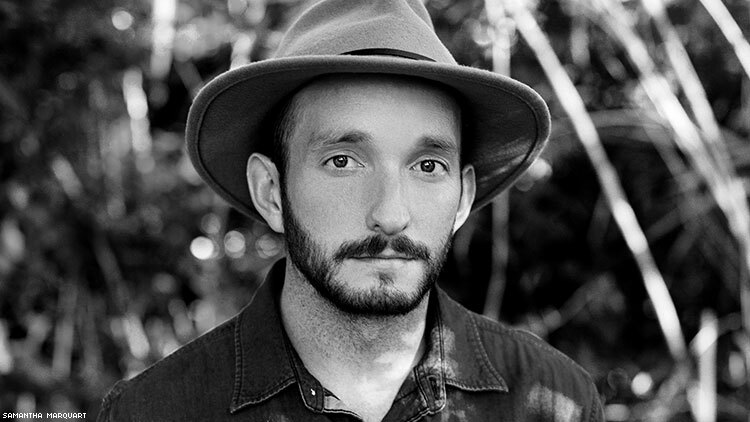 Jedidiah Jenkins doesn’t recall any hesitation or anguished contemplation, however. The buttoned-down gay lawyer from the Bible Belt knew instantly that riding a bike from the United States to the furthest point south on the American continent was going to be his spiritual quest, and he impulsively seized the opportunity. He was struggling with his identity at the time, as well. 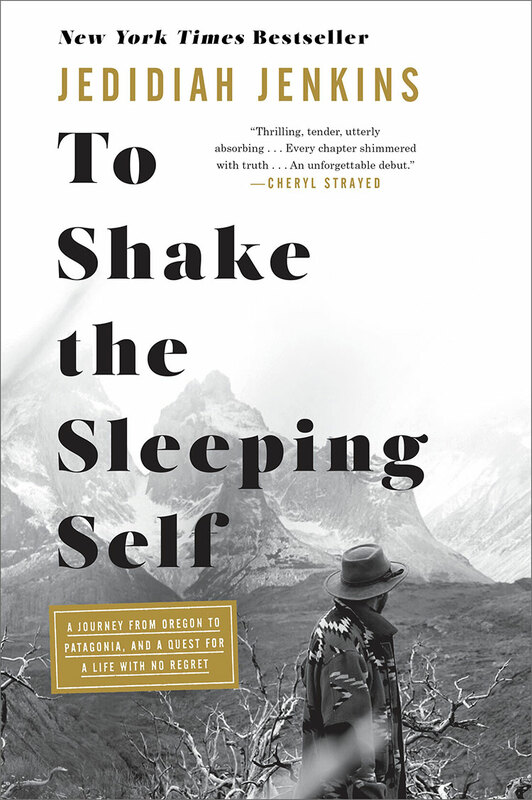 Jenkins’s new book To Shake The Sleeping Self tells the story of how a bike ride from Oregon to Patagonia in South America helped him do that. After a lifetime of conforming to what was expected of him, he rebelled and found a life of purpose and intention. Jenkins saw the trek as an opportunity to help make sense of the multitude of unanswered questions that had come to define him. And in some ways, he was stepping in his father’s shoes. His father Peter Jenkins, literally walked across America as a young man, finding a wife and religion along the way. Jenkins senior eventually became famous for it through his memoir, Walk Across America, and follow-up books. That was the journey that Jenkins’s parents enjoyed. The starting point of his own journey began for Jedidiah at the same Oregon beach where the journey on foot ended for his parents. Having grown up in a fiercely religious home Jenkins says it was difficult reconciling his faith with his sexuality until he found a quote from James Baldwin. Jenkins found himself a spirit guide to accompany him on the ride. The quirky, eccentric, infuriating, loveable, pot-smoking, habitually cash-starved Winston proved the perfect companion and foil. Winston’s spirit helped Jenkins push through the physical toll of pedaling for hours on end each day up mountains, across broiling hot deserts, and through humid jungles where hungry mosquitoes tormented him physically and mentally. “It’s one of those things where when you do something slowly over time and chip away at it, all of a sudden you’ve done something great in small steps,” he says. The journey officially began on August 28, 2013, at Honeyman State Park beach in Florence, Ore., and ended in Patagonia as 2014 drew to a close. Jenkin’s route took him through Oregon and California then into Baja California. On the way, he met a lot of people, including representatives from Instagram — in a meeting Jenkins initially thought was a bust but led to 10,000 new followers overnight. The newfound fame had benefits. “I will say it did help me when I would be miserable or tired — or my bike would break down over and over again or whatever the problem was — knowing that was to become a story that I was going to be able to tell,” he reflects. Jenkins and Weston continued south through Baja California, crossed over the Sea of Cortez in Mexico, and across the Altiplano of central Mexico. In doing so, he intimately experienced a country in a way he never knew existed. Winston and Jenkins stayed together through the Mexican Riviera, Central America, and into Colombia, by which time Jenkins jokes they were like a married couple going through the seven-year itch. The two eventually went their separate ways but remain good friends. 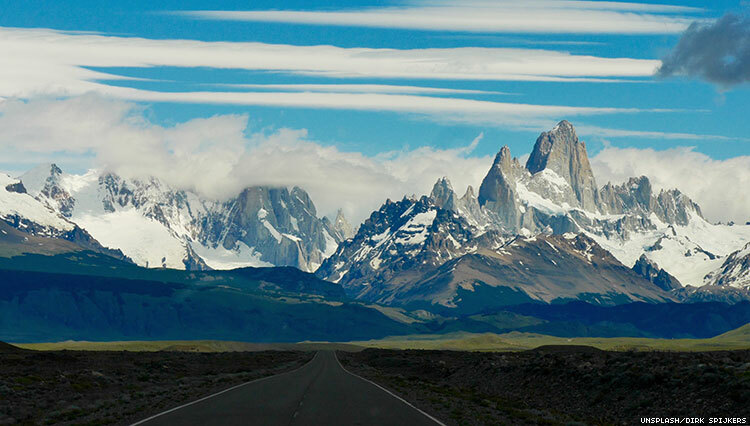 Other friends joined Jenkins for periods of time, but he was alone for the final leg of his journey on Chile’s Carretera Austral and through Patagonia. Perhaps that the way it was meant to be. In a fitting end to his journey, Jenkins stands alone beside his bike marveling at the wonders of nature and God, having come to a better understanding of himself and his place in the greater community of humankind. “By choosing a life of intention and trying something really hard and succeeding at it, it taught me I can do almost anything I set my mind to, which is an amazing feeling,” he admits.